Scott Frost has a need for speed. That was well established in just two years at Central Florida, and we talk about it all the time now. As it pertains to offense, that is. But what about defense? The Huskers are going to need some on that side, too, based on how they play. Ian Boyd of Football Study Hall is back with another excellent breakdown, this one of a defense that everyone seems to be running these days. One rare area in which Chip Kelly was ahead of the grain without getting much credit for it was his deployment of the 4-0-4 “tite” front which utilizes a pair of big, strong side DEs in 4i-techniques (inside eye of the offensive tackle). Oregon was stocking up on those players under Kelly and Mark Helfrich and really doing some damage and today much of the college football world relies on the same front and player types. 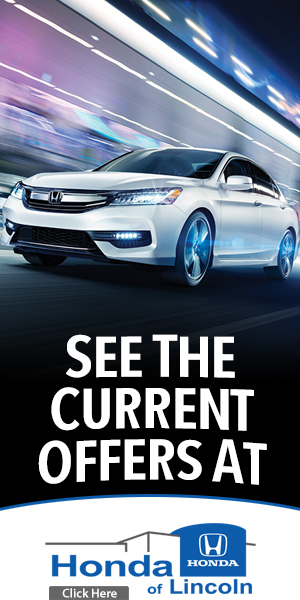 It won't be totally new at Nebraska. The Huskers lined up that way at times in 2017, but, based on a quick review of the Peach Bowl, UCF liked to use it a lot. It wasn't the only thing the Knights did, of course. "We'll run the 3-4, we'll run the 4-3, you can call it whatever you want," Chinander said this month. "We're going to put the kids in the best possible positions each week so you're going to see a little bit different defense every week." Against a power-spread team like Auburn, however, the tite front was fairly common. The major problem that defenses have to handle in modern football is how to handle the horizontal and vertical stress created by spread offenses without going soft up the middle. The “hit em where they ain’t” nature of the spread is a real challenge and different styles of the offense are developing increasingly potent ways to achieve balance in being able to force the defense to defend the entire field. The major goal of the 4-0-4 “tite” front with it’s double 4i-technique “defensive ends” is to use the DL primarily as a tool for clogging the interior while leaning on the LBs and secondary to handle the rest of the field. If you really want to get down and dirty with the Xs-and-Os of this, go read that story because there's much more there. I'm interested in it from a recruiting angle. What's the toughest thing to do in recruiting? Land defensive linemen. The good ones are really hard to get, but particularly at a place like Oregon (or, really, most places outside the South). If we're giving Kelly credit for popularizing this particular front, also give him credit for recognizing his constraints and devising a way around them. The Ducks weren't going to land the type of defensive linemen Alabama or Florida State was getting, even during the stretch when Oregon was absolutely running with those programs in every other regard. So don't ask your defense linemen to do what those other guys do. 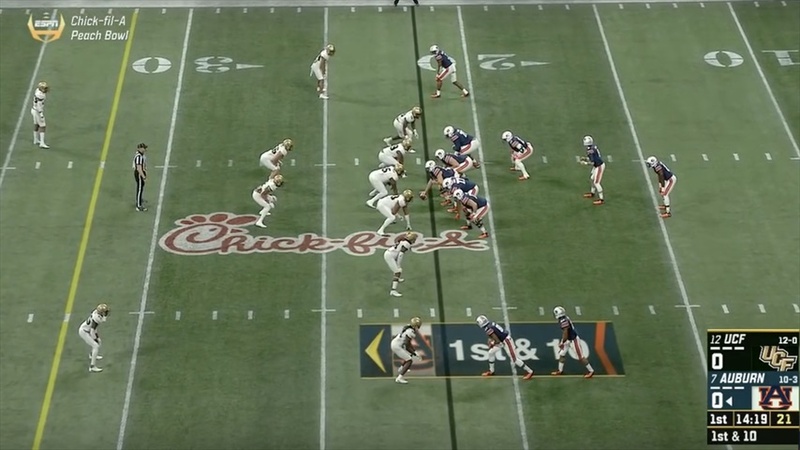 As Boyd writes, playing the line in this alignment is "a pretty thankless job." Those linemen eat up blocks, control the inside four gaps and let the fast guys behind them worry about defending the width of the field. But it's a lot easier to find speedy linebackers and defensive backs and put them in a position to tackle than it is wrecking-ball defensive linemen who will just win one-on-one most of the time. In that way this currently trendy method of playing defense checks three different boxes. One, it increases the margin for error in recruiting. Two, it has arisen to combat the trends on the offensive side of the ball. Three, there is still a scheme edge here. You wouldn't see schools like Georgia, LSU and Texas – programs that can reliably land blue-chip defensive linemen – using it, too. Maybe this is why Mike Riley was so keen on getting the Huskers in a 3-4. (Keen enough to fire Mark Banker via phone.) Nebraska didn't see the results from that in year one, but that switch still may end up paying off for the Huskers in the long run. 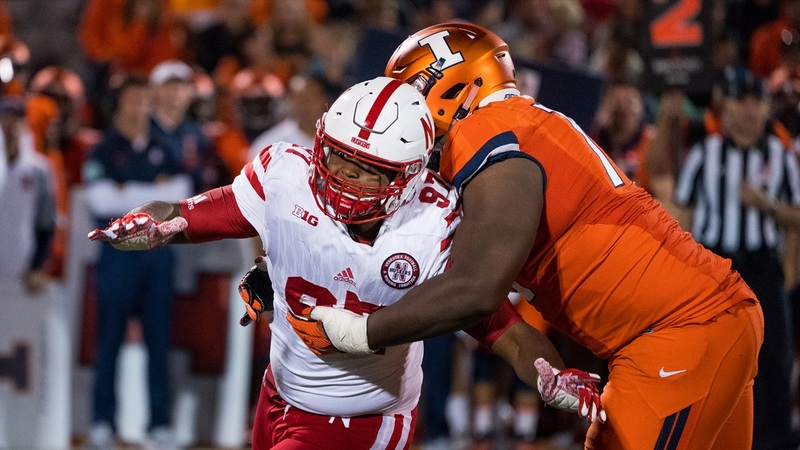 ICYMI: Nebraska might be in bubble trouble after a loss at Illinois. Here's the recap and three takeaways. Joe Lunardi's latest bracket has the Huskers in the first four out. Here's a look at how Ole Miss transfer quarterback Shea Patterson fits Michigan's offense. Feels like there's a lot riding on this very question in the Big Ten (presuming he can play right away). Speaking of the Wolverines, former Florida head coach Jim McElwain is joining the Michigan staff.